Today is the day to cherish the gift of life given to you by the almighty.. And I wish that His grace and blessings keep you safe and happy throughout your life. On this auspicious day, I pray to the Lord to give you immense happiness and shower His blessings on you…So that you can have a memorable day and a memorable year ahead!! May the Lord provide you with the strength to keep doing the wonderful work… You’ve truly been a saint!! Happy birthday to you. Happy birthday to the most wonderful, merciful and saintly person I have ever known. May god have his blessings upon you and give you the strength to be even better. I extend my heartfelt greetings on your birthday and hope that God blesses you with peace and serenity in your life!! It is believed that the ultimate aim of life is to attain salvation..So, don’t be sad that you’re a year older…cherish the fact that you’re one more step closer to salvation!! Happy birthday!! I wish the best for you and hope that the Lord heeds to my requests!! A very happy birthday to my dearest friend!! Lets hail the almighty who gave you this gift of life. I pray He continues to shower His blessings on you as you go about your life with grace and humility. Happy birthday. On this special day God gave you life. And I pray to him to drench you with his blessings and happiness. Hope you have a memorable day a memorable year ahead. Happy birthday. Your age does not count, your experience does not matter for however far you go, you will still be a small child for the great lord. Happy birthday!! Today I close my eyes and thank the great almighty for blessing me with a nice and caring friend like you. May the Lord continue to bless us with such gifts. Happy birthday!! Happy birthday my dear. The supreme lord has already given you the best and most precious gift of all, that is the gift of life. On this special day let’s thank him in style. May the lord watch over you always and gives you light in the darkest of times. Happy birthday. Hope you have a blessed and spiritual birthday ahead. May the Lord gives you strength to walk the path of truth and justice and helps you maintain your saintly aroma. Happy birthday my dear. Happy birthday dear. My heart goes out to you as I wish you a happy and serene birthday. May god bless you and gives you the will to fulfill all your dreams. Life on earth is full of broken arcs which can be completed on reaching the gates of heaven. Happy birthday and congratulations for each passing year is bringing you closer to god. I pray the lord heeds my request and gives you the best of everything in life. Happy birthday my dear, your kind soul deserves every happiness. 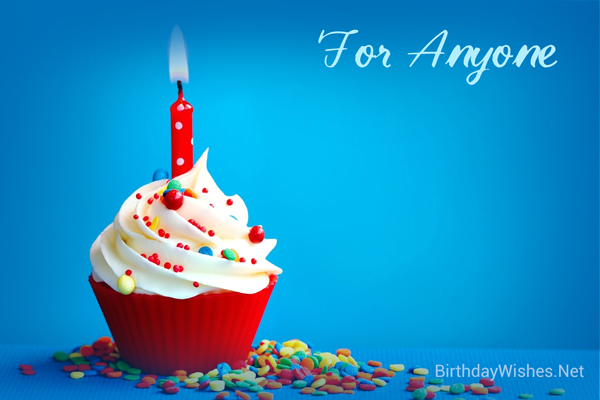 Check out this amazing collection of spiritual birthday wishes, the spiritual birthday wishes on this page incorporate the messages from these article, but feel free to add your own.